Description: Porte Tournante features a classic open frame design. The pendant offers an appealing profile and delivers beautiful ambient illumination from four customer supplied Ivory faux candle lights. The hardware is featured in an Oil Rubbed Bronze finish. 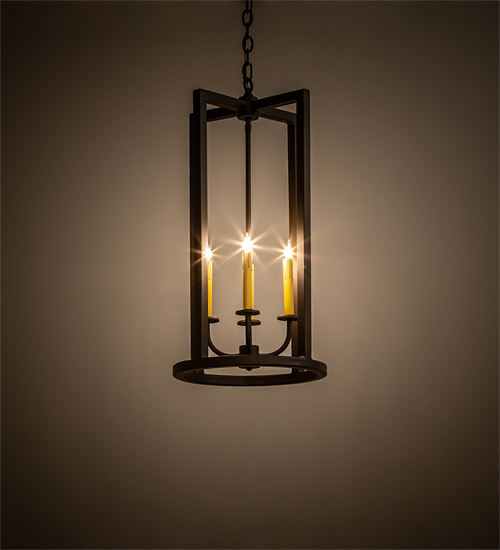 Handcrafted by skilled artisans in our 180,000 square foot manufacturing facility in Yorkville, NY. Custom sizes, styles, and colors are offered. Dimmable energy efficient lamping options are available. UL and cUL listed for dry and damp locations.